Why is Friday the 13th such an unlucky day? Whenever we hear Friday the 13th, it is hard not to associate it with some type of superstition or thought that you might have bad luck. For the third and last time this year the date has arrived. But where did this fear come from in the first place? 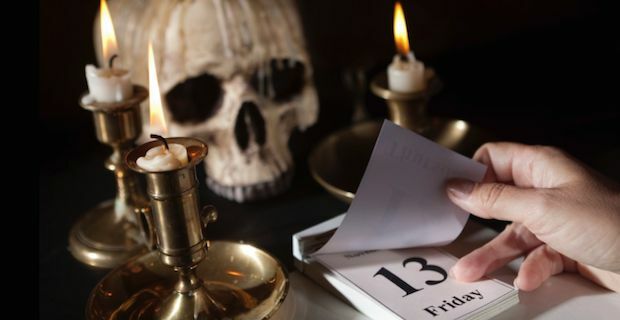 To begin with, being afraid of the actual date Friday the 13th actually is a phobia called Paraskevidekatriaphobia, but fearing only the number 13 is triskaidekaphobia. Both are phobias that a surprisingly large number of people suffer from. The number 12 is seen as a number of completeness. There are 12 months in a year, 12 hours on a clock, 12 tribes of Israel, 12 gods of Olympus and much more. While 13 is seen as an outlier. While the origins of this fear are actually unknown, historians have said that the superstition can date back to 1700 BC. In ancient Babylon’s Code of Hammurabi in 1772 BC, the number 13 was omitted in their list of laws. Others believe the superstition actually has biblical origins. They say it was the day that Eve ate the Forbidden Fruit in the Garden of Eden. Instances of this unlucky number appear all over the Bible for example Jesus dining with the 12 disciples prior to his death on a Friday. The superstition is so strong that many buildings and hotels omit the 13th floor, some airports leave out the 13th gate, and even some cities don’t bother putting in a 13th avenue or street. There are plenty of those out there though that just see the number and the day as just any other day. Which one are you? Who’s (or what’s) the best movie monster?